Part of Culinary Classics new Urban Denim Collection, the Denim Half or Full Bistro apron is made with our 10 oz. 100% cotton Indigo denim*, double stitched in contrast thread to match the contrast fabric of your choice. Contrast fabric is our classic Sax Twill, a super durable 7.5 oz 65% Cotton/35% Polyester fabric that comes in an array of colors. 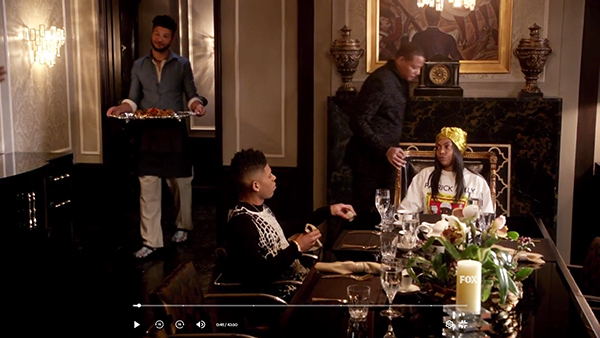 As seen on FOX's Empire Season 4 Episode 13!